Raiders of the Lost Ark (1981). This is an original movie poster advance teaser single-sided rolled (Amsel art). Condition: very good and unused. 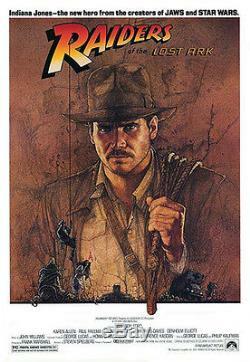 The item "Raiders of the Lost Ark (1981) original movie poster" is in sale since Tuesday, May 21, 2013. This item is in the category "Entertainment Memorabilia\Movie Memorabilia\Posters\Originals-United States\1980-89". The seller is "movieposterzone" and is located in California.